NEW DELHI: Ever tried teaching people the importance of cleanliness and water conservation after watching them dump garbage in the open or let water go waste and it all ended in vain? Well, a 14-year-old has a unique method to put his point across. 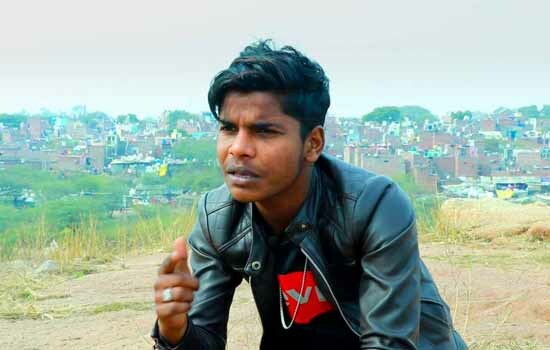 Donning a cap, with his jacket on, Sumit can be noticed walking in the streets of Bhanwar Singh Camp, New Delhi, humming lyrics that he create on the go. He has his heart in rapping and everyday he comes up with such a string of words that has the power to make people think about the problems of present, the ones that can be resolved if everyone gathers in and gives their support. Kaku, the rap title Sumit goes by, got interested into the art of rap music at the age of 10, when he first heard his elder brother listen to such songs. Few years down the line and Sumit was creating his own rap songs. A group of 3-4 friends who rap together and even with no professional training, the rapper gets asked to perform in the society as well as in his school. Even the school teachers at times ask him to sing. While talking to Newsd, he told that he draws inspiration from the renowned Punjabi rap artist, Ikka and that “Shuruwat" and "Ikka Interview" are his favorite productions by the sensation. When Newsd asked him the story behind the title, “Kaku”, he said that he came up with it after noticing that top rappers go with names having 4 letters, for eg Guru, ikka; he hopes that Kaku would be hence a lucky name. Besides music, Sumit has his interest in the art of Taekwondo and aspires to run a business in the future along with his passion of rapping.